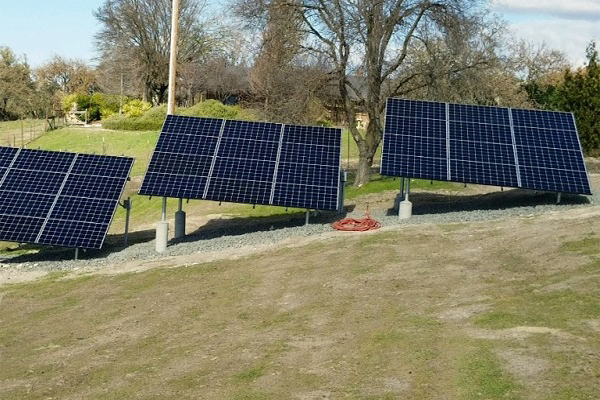 Pre-Configured Engineered Grid-Tie Solar Systems Built Onto Your Building or Property that Connect Directly into the Utility Grid. Off-Grid Systems are Power Systems That are Independent of the Utility Grid. Work With The Solar Experts & Save Money. Solar is Art to Us. Do-it-Yourself & Save. Skip the markup from national installers and save money when you buy straight from the source. 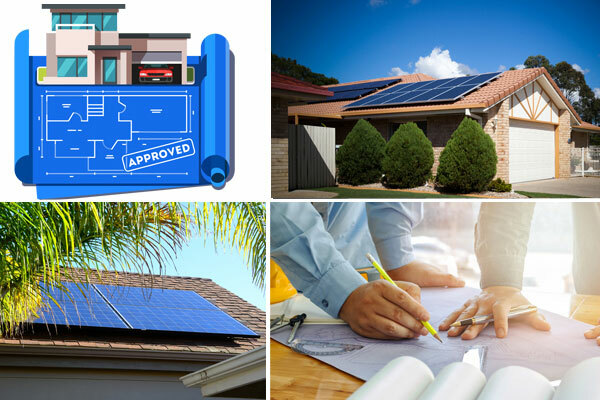 We can help you with the plans and documents for you to install a solar system on your home or business. Blue Pacific Solar®, excellence in analysis, custom system design, competitive prices and personalized expert support before and after the sale. 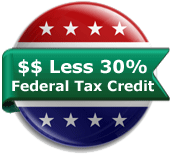 Saving up to 50% over a national installation company by installing a solar kit while still receiving the federal tax credits and local incentives which translates to thousands of dollars in savings. SolarEdge, SMA & Enphase Pre-Engineered DIY Installation Systems. Look what this homeowner did using our Permit Doc Service to offset a rising utility bill. Outstanding! This is one sweet 14 kW DIY install. SMA provides daytime power when the utility grid is down without batteries. In WI they say "Life's so good". This owner has a right to be proud. 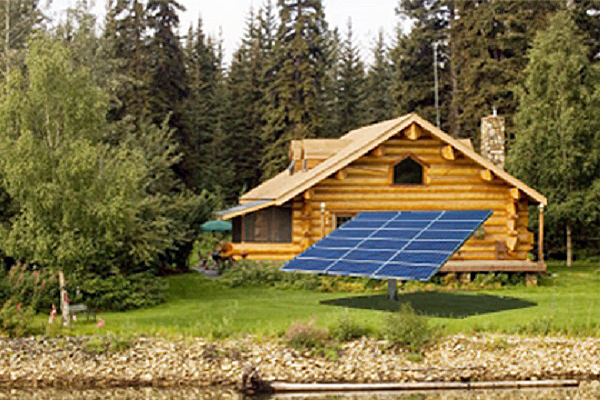 SolarEdge black solar array. Well done sir! 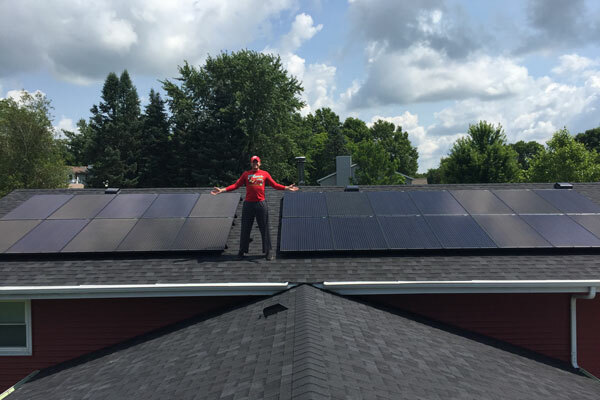 In 60 man hours this owner installed the SolarEdge Kit. A local electrician finished the connection. Good Job! 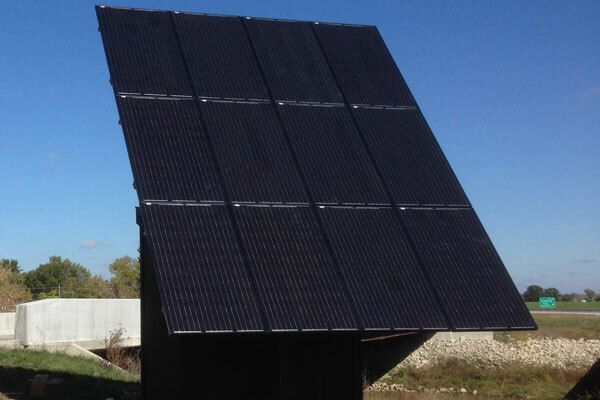 OutBack Power; MidNite Solar Pre-Engineered Systems. MidNite Magnum Kit will provide this homeowner years of self-reliance. Engineers at a MidWest University monitoring a bridge on I-80. Solar for safe roads. 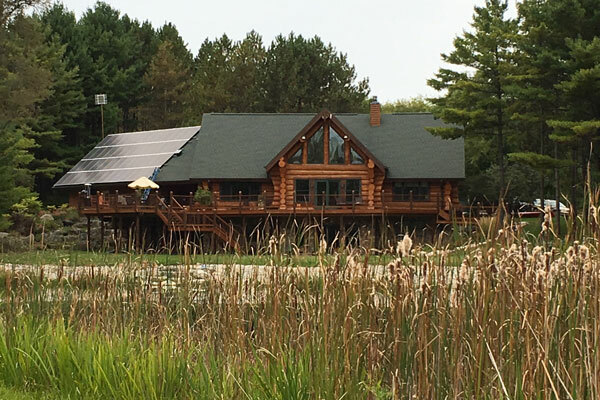 12 solar panels & OutBack FlexPower 1 powers this customers dream. Sweet! Every DIY owner knows the pride that comes with installing oneself. Well done. Repeat customer who sadly lost their home in the CA Thomas Wildfire. They will rebuild w/ SolarEdge’s StorEdge™ battery solution. MidNite systems are a easy to install pre-wired power center. Add batteries and a cabinet and you are good to go. Pre-wired w/ AGM batteries enjoy pure sinewave output for modest power and energy storage when the grid goes down. 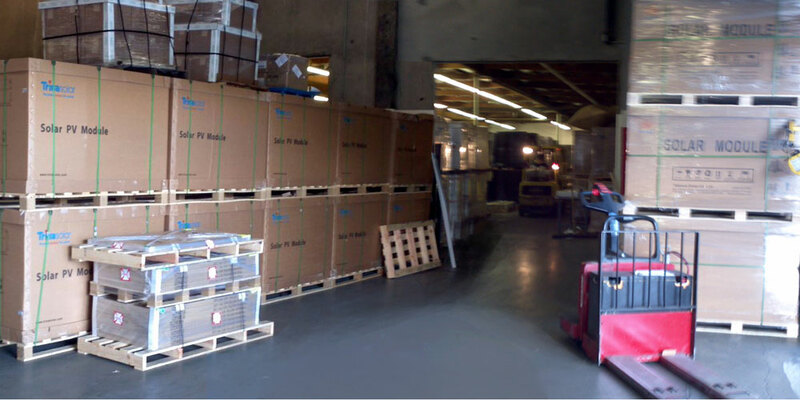 SolarEdge's StorEdge storage solution. A solar grid-tie solution for backup power & self-consumption function in one unit. 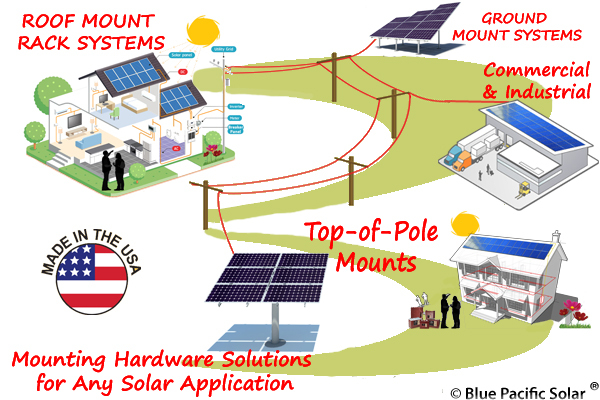 Mounting hardware solutions for any solar application. Strongest grid-tie, off-grid, ground or roof residential, commercial & industrial mounting system with the best warranties. USA Made. Deep cycle flooded lead acid & AGM batteries are the most common battery used in off-grid and home backup installations. Energy storage for both applications are required. Controllers, batteries, monitors, fuse boxes, inverters and circuit breakers using the overall electrical distribution help transfer that current into a grid tie or off-grid home. The do-it-yourself (DIY) craze is hardly crazy when one considers the mind-boggling cost savings resulting from this trend nationwide. In fact, many people wouldn't call it a trend at all, merely a return to the practical know-how of yesteryear when people simply had to do it themselves and took great pride in their handiwork! Yet few DIY projects are as cost-saving and investment-rich as the installation of a solar system. The era of solar energy, as many would say, is upon us. From astounding new solar products like AC coupled backup systems and high efficient microinverters to banks of solar panels that provide electricity to run our homes and, eventually, even our cities, the solar revolution may well have begun in earnest. Yet too most people, how solar actually works is a mystery. How do these panels convert sunlight into energy that homeowners can use to power their appliances and their homes, a practice that ultimately protects the environment and leads to cheaper utility bills and economic freedom? So how does a seemingly simple looking panel harness sunlight and transform it into electricity? Solar panels contain photovoltaic cells. These cells are where the conversion from light to electricity takes place. The cells must be made of a material like silicon or a similar single cell semi-conducting material. As light enters the cells, the semi-conductor pulls the energy in the form of electrons from it and allows them to flow through the material. In essence, this flow is actually a current. While the absorption of the light into the cell is enough to free electrons, the cells also contain an electric field that can steer the electrons where they need to go. The current is then steered to the bottom of the panel where it can then be collected and drawn for use externally. Most people don't think in terms of particles, but light actually hits the PV (photovoltaic) cells as photons. As each photon hits the PV cell, it gives up an electron. While this is putting it somewhat simplistically, this is, indeed, the moment of conversion. The freed electron is absorbed by the silicon where it flows with other electrons into current; hence, electricity is born. Some scientists would say that the real tricky part is enhancing the cell with an electrical field to get all these electrons in line to flow as a current in the required direction: enter silicon. Silicon is popularly used as the solar cell's semiconductor. Yet it must do more than simply absorb photons; it has to employ an electrical field and get their current moving along. Moreover, it must be fashioned with impurities, because pure silicon will not do the job alone. Phosphorous and boron are added in a process referred to as doping and together these elements in their atomic interaction create the electrical field needed to move the electrons in the prescribed current they need to flow. After the photons are transformed into electricity, the panels direct this energy to power the home. 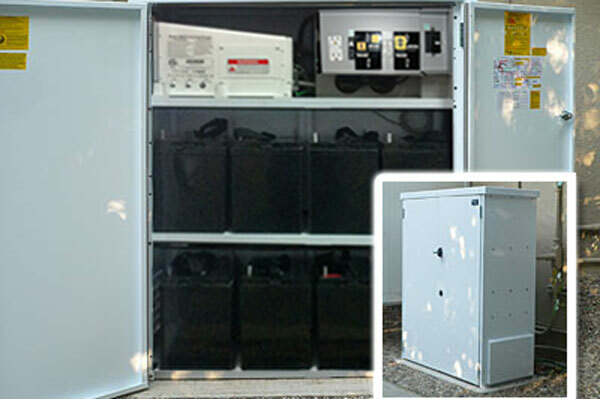 Some homes, those independent of the utility grid, must rely on battery storage to store energy, yet they may also have to rely on backup generators when there is too much demand on the size of the system. Many people use solar in tandem with the utility companies so that they have a convenient back-up during fluctuating periods of energy. This net metering partnership is a bit involved, but it has also been evolving to become more effective as more and more people choose solar to provide the bulk of electricity to power their homes. It goes without saying that solar panels are essential for a solar power system. Actually, what you will probably need is known as a solar array. That is because each panel generates a small amount of electricity. 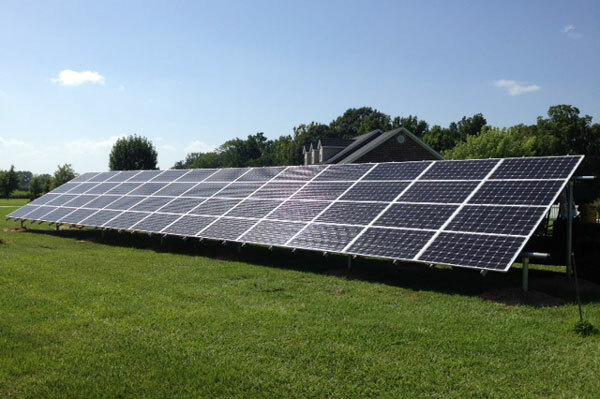 The number of panels included in your solar array depends on how much power you need to generate. PV photovoltaic modules, often referred to as solar panels, convert light energy into a direct electrical current (DC). As solid-state devices, solar panels have no moving parts and are extremely reliable and durable compared to any other generator electronic technology. While solar panels have become somewhat commoditized in recent years, there are important differences in form, quality and performance that can impact both installation time and long-term system performance. Our web pages presents a selection of high-quality polycrystalline and monocrystalline solar panels with a variety of features and cheap price points to suite virtually any homeowners project. Solar panels come in two types; monocrystalline and polycrystalline. 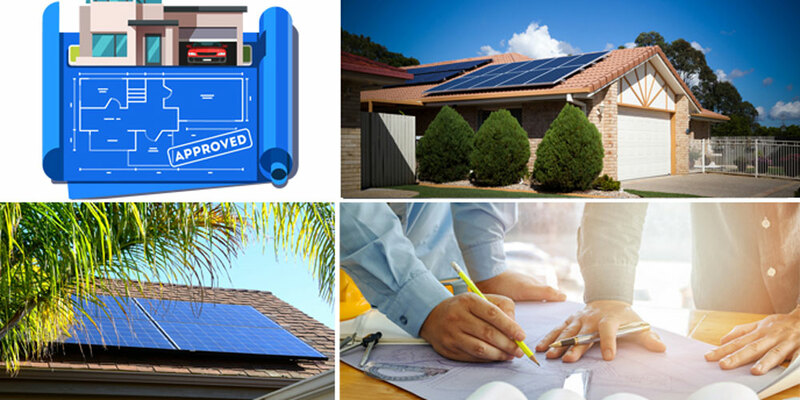 Where home or cabin owner wants their solar installation to be grid tied, off-grid or emergency solar backup each of those systems starts with a solar panel selection. Monocrystalline solar panels are generally higher efficiency, but they tend to derate faster in hotter conditions. Polycrystalline are sometimes considered a better choice for warmer climates, but the truth is that either panel type is so similar the differences are relatively not worth comparing. 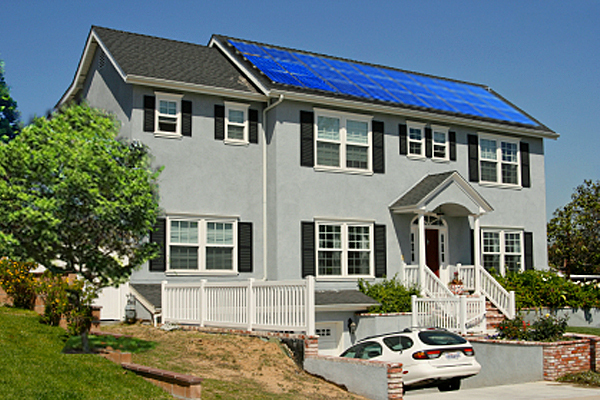 What is the Best Solar Panel to Choose? The output power, voltage and current profile of the solar panels will dictate the number of panels needed and what inverters or charge controllers can be used. 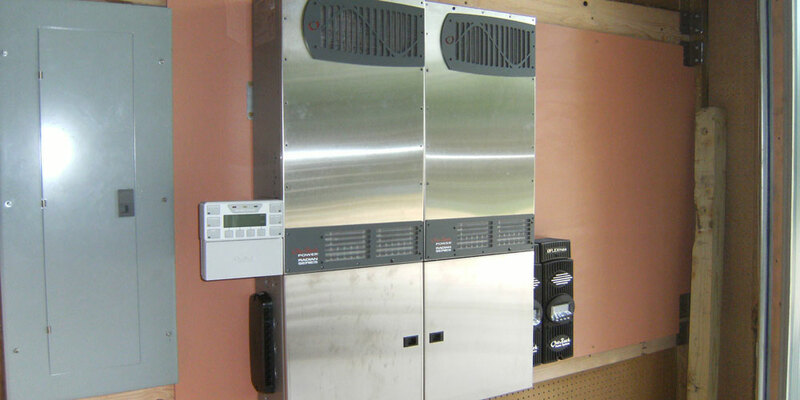 Small off-grid home or cabin kits often require 12 VDC output panels to directly charge batteries and/or operate DC loads. 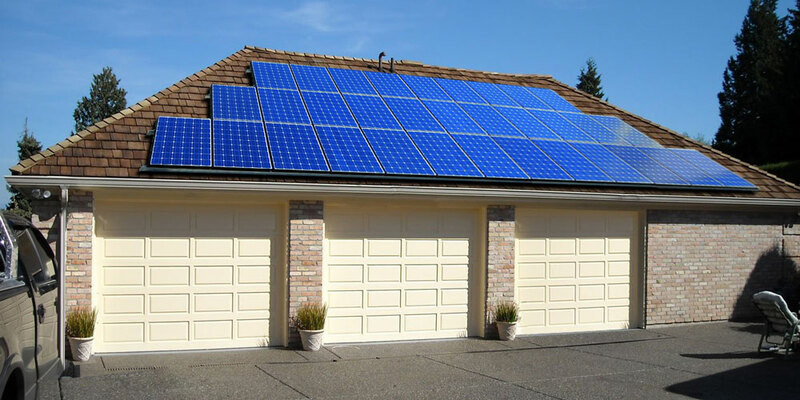 Larger solar panels with output voltages ranging from 24 to 50 VDC are more commonly used in grid-tie home systems where a high DC voltage is required to operate the inverter. If you have the roof or ground space with limited shading issues on your property, the larger solar panels may provide a better investment since the cost per watt is cheaper than smaller PV (Photovoltaic) panels. 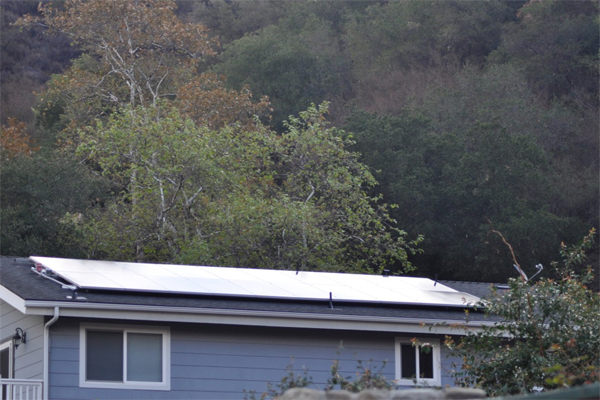 PV (photovoltaic) systems can be grouped into two categories, off-grid and grid tied. In off-grid systems the energy produced by the solar panels must match the daily demand of the home or cabin, and the power is stored in a set of batteries. With grid-tie solar systems, the local utility company functions essentially as the battery bank during the night. In America, most solar systems are grid-tied with all of the excess electricity generated being fed back to the utility grid hence the term NET metering. When you hear the term off-grid which is synonymous with stand alone systems, you may generate a picture in your mind of rustic pioneer-type living in a cabin with few modern conveniences. In fact, this is not necessarily the case. 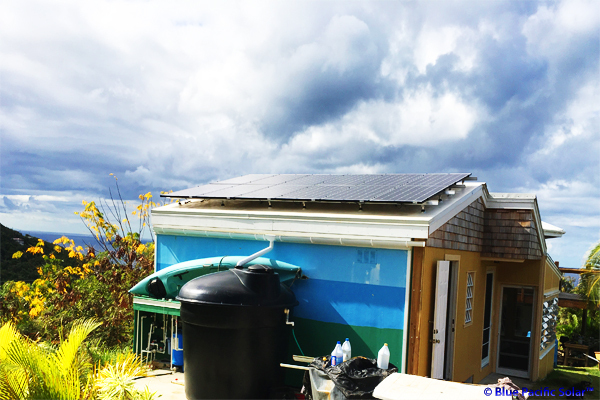 While it is true that off-grid solar power is usually not sufficient to power an electric heating and cooling system unless you just won the Lotto or work on wall street, nearly all other appliances can be adequately powered with a properly configured off-grid system. You simply start with a daily energy budget and match the right components to meet your power demands. 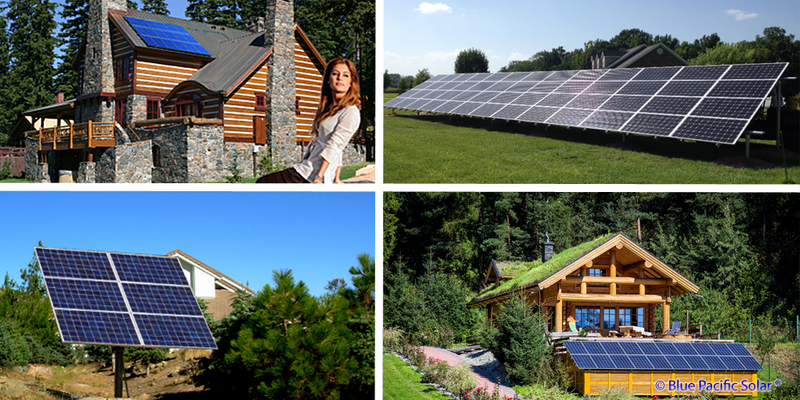 Check out our off-grid living page for some great information to help you plan the right system for you. Solar panel mechanical characteristics such as dimensions, frame profile, and static load rating, as well as grounding and mounting locations will need to be understood when designing your home solar grid tied or off-grid system. Frame and back sheet color may also come into play for residential DIY customers. Black frame solar panels are very popular because the aesthetics of the panel blend very well with many roof applications. Solar mounts and solar trackers are nearly as important as the panels themselves. Solar mounts provide the stability your panels require to remain in place. Solar trackers allow you to orient your panels automatically to take maximum advantage of the sun's rays. The IronRidge, SnapNrack and UniRack roof and ground mount module racking we sell were developed by teams of engineers working with installers in the field to ensure quick, efficient installation. The electrical current generated by your solar array will be direct current, or DC electricity. Most electrical appliances run on alternating current, or AC electricity. A power inverter converts the DC power of your solar array into AC power that your appliances can actually use. DC electricity travels in only one direction but AC electricity alternates back and forth. Without a power inverter, you will be forced to rewire your home and to purchase expensive DC powered appliances over lower cost mass-produced appliances made for the conventional home power source. In some cases, DC powered appliances will not be available and you will have to do without certain appliances. If you intend to be off-grid, you should consider propane to power things like stoves and refrigerators. Heat with a pellet or wood burning stove but make sure they are highly efficient modules that use less fuel. Without a deep cycle battery system, you will be unable to store the electricity that your solar power unit generates. This means basically that you will only have power when the sun is shining. 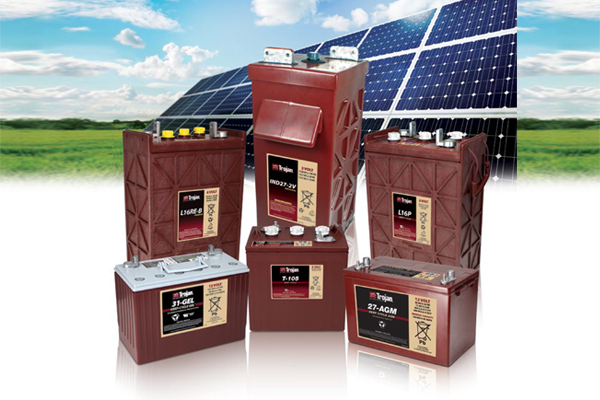 Deep cycle batteries are specially configured to be charged and discharged frequently with a high demand system like a solar power system. The battery monitor provides a visual gauge of the electricity generated and stored by your solar power system, while the solar charge controller manages the process of charging your deep cycle batteries making sure they receive just the right amount of power but controlled and regulated throughout the day. 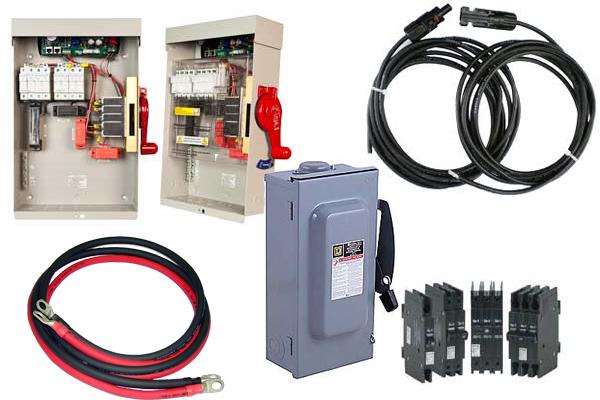 Battery Cables, PV AWG Wire / MC4 Connectors, Combiner Boxes, AC Disconnects; Electrical Distribution Balance-of-System Accessories. These small items are minor but essential for making your solar panel kit work. You will need, among other items a solar combiner box, AC breaker panel, DC Breaker box, DC breakers, battery cables, remote temperature sensor, AC and DC wire and solar power cables. Cables and connectors on the solar panels we carry above 80 watts are generally manufactured with PV wire into the panel junction box that are listed to UL 1703. This can save time during installation. The modules with MC4 cable connectors are fully waterproof when connected, touch protected and designed for up to 600 volts DC and 30 Amps. It is important to keep in mind that PV cables cannot be safely disconnected under load. All of our grid tied and off-grid output cables are made with UV resistant wire that is Listed to UL 854. You may also wish to add other solar accessories. Blue Pacific Solar® also carries a variety of cable adapters that enable use of optimizers or microinverters that may not be available with the same connector type as the module chosen for the job. If you are worried about utility blackouts, take at look at Blue Pacific Solar® off-grid power generators and pre-wired, pre-engineered power center equipment. A backup solar generator can provide you with peace of mind during utility power outages and blackout or other weather related emergencies. With a grid-tie system when the utility provided power goes down, your solar power system is nonfunctional, you will be literally in the dark without a backup generator or battery bank to power essential loads. Your solar back up generator will automatically switch over to your battery bank and so that it takes over immediately in the event of a blackout when the grid goes down. Our solar generators are designed in compact kits that work by having stand-by batteries connected to an AC inverter. Until very recently there were few options available to homeowner with grid-tied systems to utilize the energy from their solar panels when there is a utility blackout. 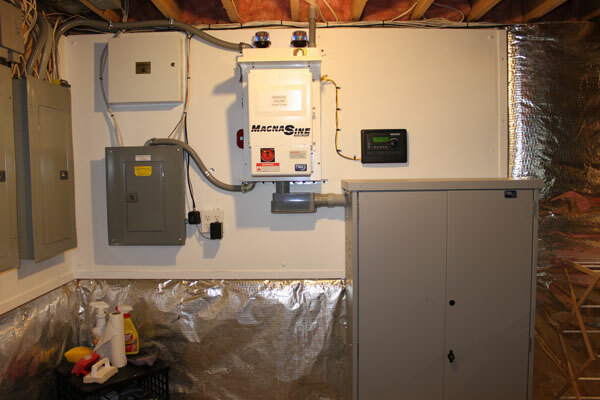 On our backup solar page we offer a number of stand alone AC coupled emergency backup kits that use your existing solar system with our AC coupled system to provide power to your home in the event the utility goes down. The AC coupled system will take the energy from your solar panels and use it to charge a battery bank that will in turn power your essential loads. Additionally, SMA Sunny Boy 3000TL-US / 4000TL-US / 5000TL-US is a new innovative design and the next step in performance for UL certified inverters. A unique feature provides daytime power from your solar panels even in the event of a grid outage, without the need for batteries. 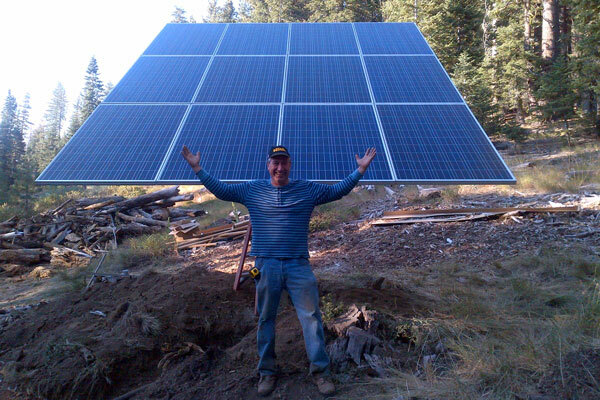 DIY (Do-it-yourself) off-grid / grid-tie solar panel kits and pre-wired home backup power packages. Solar can recharge your life while creating jobs in a new economy. Everyday Blue Pacific Solar® Technical Sales Consultants are hard at work engineering new ways to help homeowners everywhere; see what the sun's free energy can do for their life.